Embrace winter’s beauty through outdoor exploration and indoor inspiration at University of Illinois Extension’s Winter Trails & Naturalist Tales on Saturday, Feb. 23. Rockford Public Schools will celebrate fine arts across the district and the city through All-City Fine Arts week March 5-9. The inaugural Fine Arts Week launched last year, and district leaders, staff and students are looking forward to another weeklong celebration of arts in the district and the community. Rockford IceHogs defenseman Andrew Campbell became the first player in team history to serve as captain during an AHL All-Star game as the Central Division finished 1-2-0-0 in the recent Lexus AHL All-Star Classic at the MassMutual Center. The Central Division dropped the first two contests of the showcase, falling 4-2 to the North Division and 3-1 to the Atlantic Division, before salvaging a victory in their final game of round-robin play with a 5-3 win over the Pacific Division. Campbell skated in each of the Central Division’s three games and logged a shot on goal. The IceHogs blue liner also starred in the 2019 All-Star Skills Challenge on Sunday, finishing second in the CCM Hardest Shot event with a 99.5 MPH slap shot. His impressive blast was just shy of Lehigh Valley forward Greg Carey, whose shot clocked in at 100.4 MPH for the Eastern Conference. Rock Valley College has received a $30,000 grant for “Ozobot: Learn Coding with Robots” workshops. The grant was awarded with support from the Barber-Colman Management Fund of the Community Foundation of Northern Illinois. “Only one in seven K-12 schools in the Rockford region offers computer science courses, while businesses in Illinois post four times more computer related jobs than all other job types,” says Chuck Konkol, RVC Associate Professor of Computer Information Systems. Embrace winter’s beauty through outdoor exploration and indoor inspiration at University of Illinois Extension’s Winter Trails & Naturalist Tales from 9:30 a.m. to 2:30 p.m. on Saturday, Feb. 23. Winter Trails & Naturalist Tales will be held at Torstenson’s Education Center, 13735 Cook Road, Pecatonica, and includes two “naturalist tales” keynote speakers, a “winter trails” outdoor guided hike, and lunch. This years event will focus on oak trees and coexistence. The first naturalist tale will focus on Oaks: Adaption & Decline. Olvia Rauen, Forester – Iowa & Illinois, National Wild Turkey Federation, will discuss how they survive in rough conditions, the countless critters that depend on them, and the causes of their disappearance from our landscape. The second naturalist tale will be all about Coexistence. Whenever you reside you have the potential to witness animals in your surroundings. Your yard and garden naturally create habitats for wild things from pollinators to predators. After lunch, U of I Extension Master Naturalist volunteers will lead you on a fun and educational winter hike through Torstenson’s landscape. Use your new tracking skills to look for telltale signs of resident wildlife and practice identifying animal tracks, all while enjoying the serene beauty of the winter trails. Please dress for all types of weather. 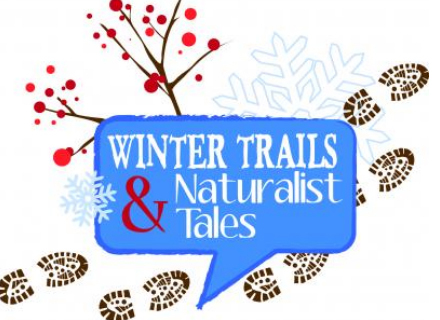 Winter Trails and Naturalist Tales costs $25 per person and includes lunch, two keynote speakers and a guided outdoor hike. 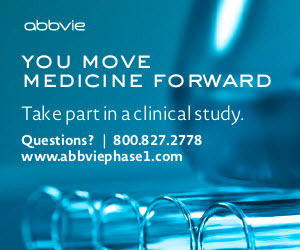 Pre-registration is required by Feb. 20.